TweetWebView is a Flutter widget to easily display a Twitter tweet in a WebView widget using webview_flutter. 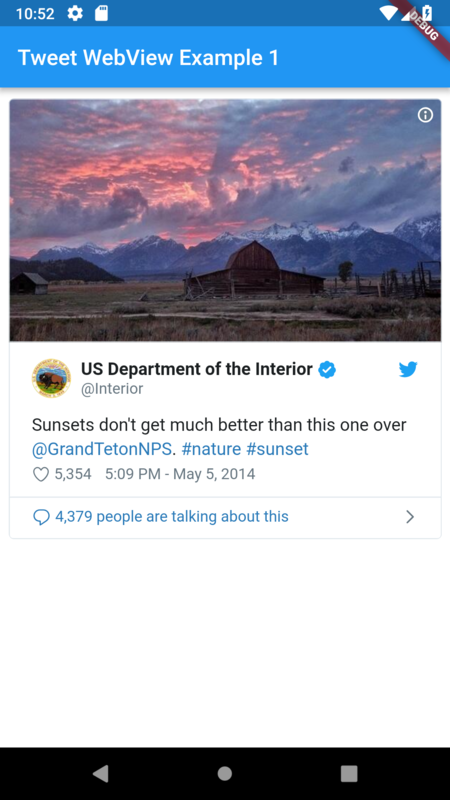 Display a single tweet in a TweetWebView widget using the tweet URL. Display a single tweet in a TweetWebView widget using the tweet ID. Display a list of tweets in TweetWebView widgets using the tweet IDs. All comments and pull requests are welcome. * Copyright (c) 2018 Larry Aasen. All rights reserved. 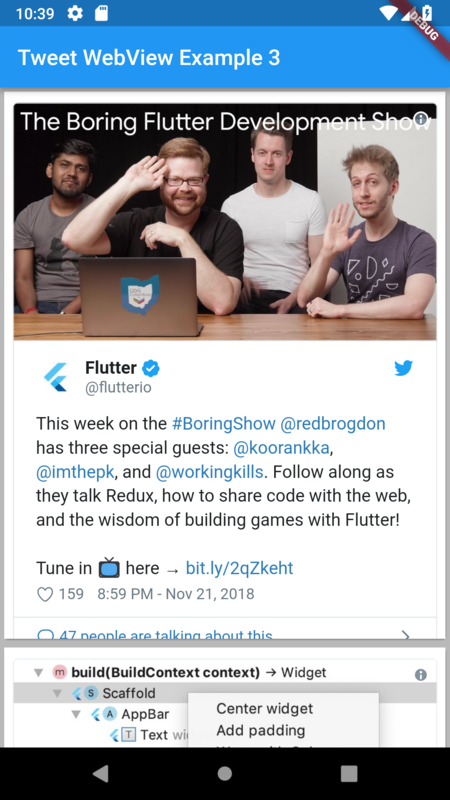 A Flutter widget to display a Twitter tweet in a WebView widget using webview_flutter.